Go to original post (currently down) or photo on Yupoo. Via Global Voices Online's Memedia translation (an old issue). 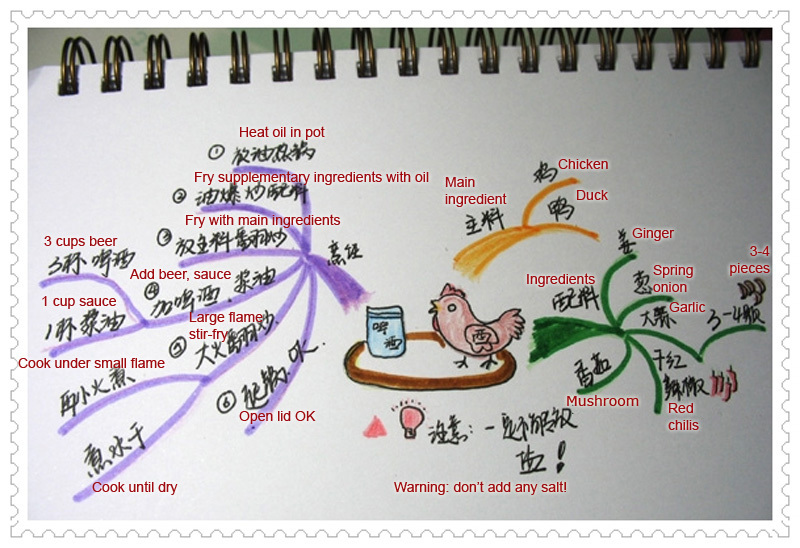 Thank you tian for fixing my translation. 张小盒 (Boxy Zhang) wishes you a Happy Chinese New Year! 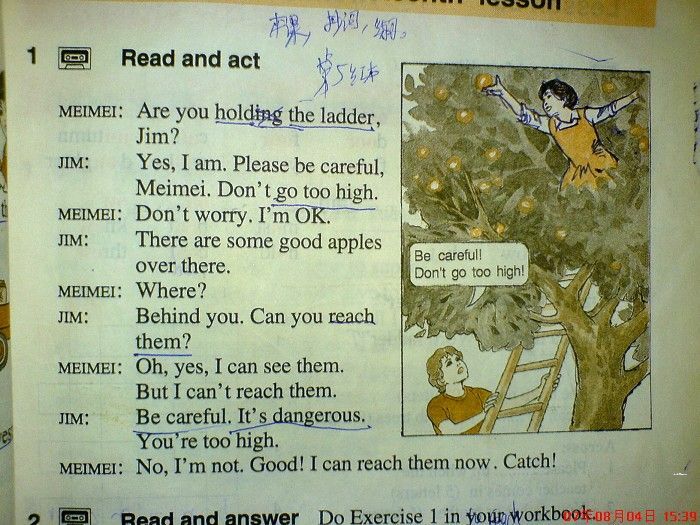 LiLei and Han MeiMei were the two main characters from a series of middle-school English textbooks used by Mainland Chinese students in the early 80s. I've unearthed a small wave of nostalgia about them online, including speculations on their love triangle with Englishman Jim Green and an annotated cast of characters. "他们没有中文名，我就先这样叫他们。试试看反响如何？大家有新意见么？ (They don't have Chinese names, let's call them this for now and see what the reaction is? 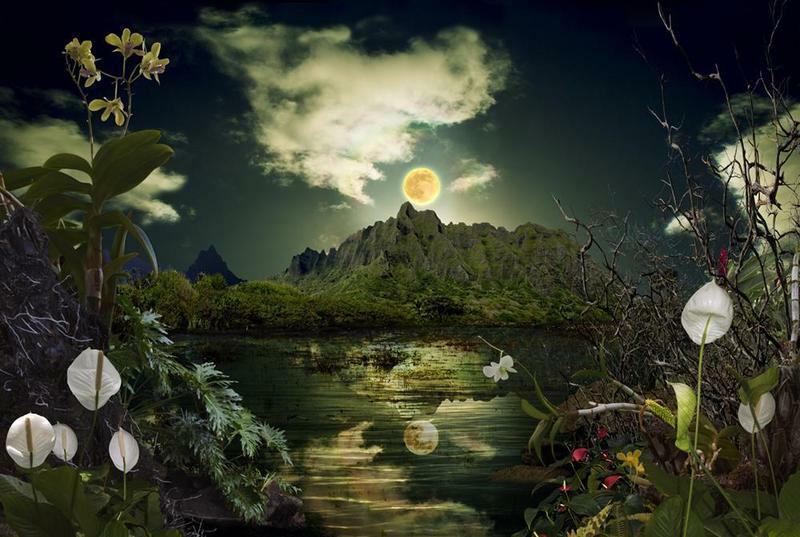 What do you think?)" We had a visit in Palo Alto from Dr. Pan Haidong, CEO and founder of hoodong, China's most popular wikipedia and wiki software. The hoodong wiki has over 1.5 million articles written by over 250,000 contributors, and the HDwiki software has been downloaded 200,000 times and currently supports over 1000 other websites in China. Pan Haidong was in town for a meeting with hoodong investors DFJ. A common stereotype is that Chinese technology is not innovative but merely derivative. Americans talk about Chinese web companies and services in terms we can understand: "the Chinese Google," "the Chinese FaceBook," "the Chinese Youtube," and so on. And yet, with all of the web2.0 action in China, you know that there are things happening in virtual China that could be adopted and even monetized in the English-language environment. Says Pan Haidong, "At first we were the copycat. "C2C" is a "copy to china" model. Then we improved it and localized it and other Wiki developers outside of China learned from us and embedded these features into their systems." Hoodong is an example of how we can miss what's innovative about Chinese online platforms, tools, and features, simply out of ignorance and the lack of English-language information on such developments. That’s why we developed our free, opensource software, the first of its kind in the world. Hoodong wiki. We released the first version in November of 2006 and by November of 2007 we have version 3 with added functions, features, and more stability. There are about 1000 websites using our software, consisting mostly of tech researchers, OS groups, government, universities, and high school students. Wikis are really popular in tech companies like Sina and Sohu because it’s a very good tool or platform for the software industry, for working on documentation. And it’s easy for tech guys to adapt to this new software. Sina, Sohu, and Netease have a lot of internal wikis. I can't quite get a good read on this conference, it has a mix of design/branding/art/architecture people from all over, and the scope stretches across innovation, design and brand. It has potential, and isn't egregiously expensive, and would be good to check out if you're in Hong Kong then. The author is 麦田精灵 (wheat field fairy), and the picture seems to have been hand-picked from a non-Daqi forum: the 云南信息港 (Yunnan Information Port)'s photo sharing forum. The user profile doesn't yield much information about the picture's creator, except that she has contributed to over 20,000 posts on the Yunnan forum and that she can be reached at km@sina.com. So far, the votes for this set is 28 flowers to 2 bricks. 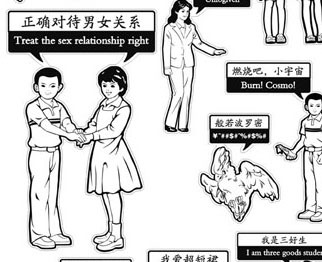 This is another example of how China's internet employs many content editors or seekers to discover "hot" content to bring it to main portal sites. The trackbacks (being able to find the original post) is a sign of a maturing internet, in case this, at Daqi. American sites would use a thumbs up/thumbs down rating system, but the Chinese version is more graphical, and has more personality -- it's entertaining, just the way most Chinese people like it when it comes to the internet. 糖果猫猫 popil is a Guangzhou-based designer (comic, graphic, fashion, animation) who runs a pretty little blog called "candy variety shop 糖果杂货铺." I've picked out two of her works below. 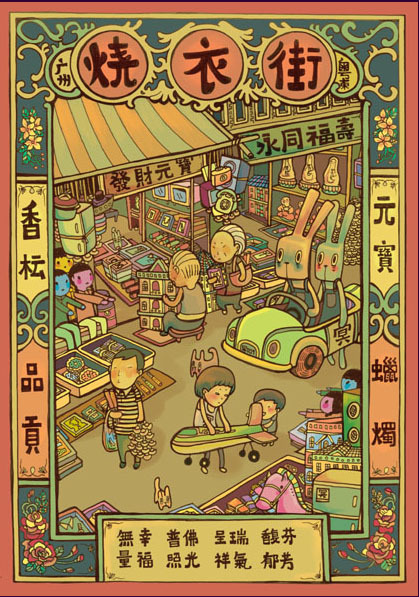 First up, an illustration of a street-market scene with a classical border. The title suggests its based on a 烧衣街 in Guangzhou. 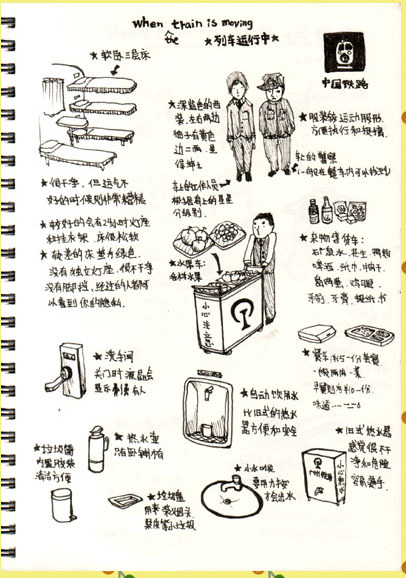 Second up, a page from her sketchbook, an infographic of artifacts on a train in China, which should strike a chord with anyone that's been in one. Link to her old blog (where these pictures are from). New blog here. Summary: Asian design schools are ramping up to recruit and retain talent, and multinationals are arming themselves with these grads to conquer the Asian market. Details that caught my eye: I was happy to see that my hometown's Hong Kong Polytechnic University named, and that the school had made Businessweek's top "D-Schools" list two years running. They also mentioned that "Beijing's Tsinghua University recently hosted a sustainable design workshop with Milan Polytechnic University." Are these signs that design in Asia is on the rise? Or are they false alarms? To answer that question, answer this one: How long are you willing to wait? Businessweek: Rise of the Asian D-School. 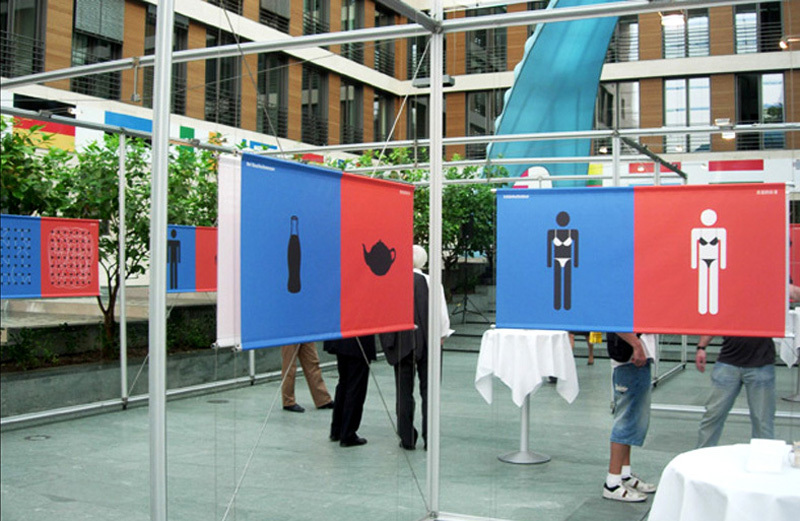 An exhibition using "infographics" to compare and contrast cultural differences between east and west, from a Beijingnese artist in Germany. 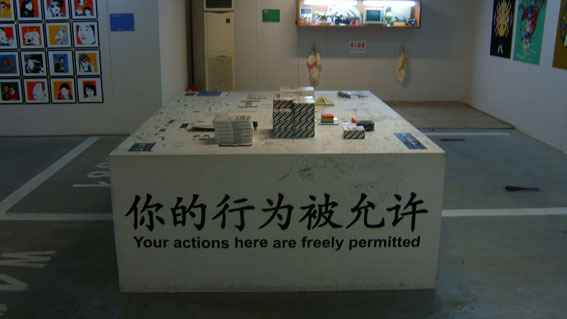 See the exhibit online at Yang Liu Design; via Information Aesthetics.